Save time and money by using the TOON-UP BRUSH from the comfort of your dock. Keeping your pontoons clean will provide better fuel economy and better performance. 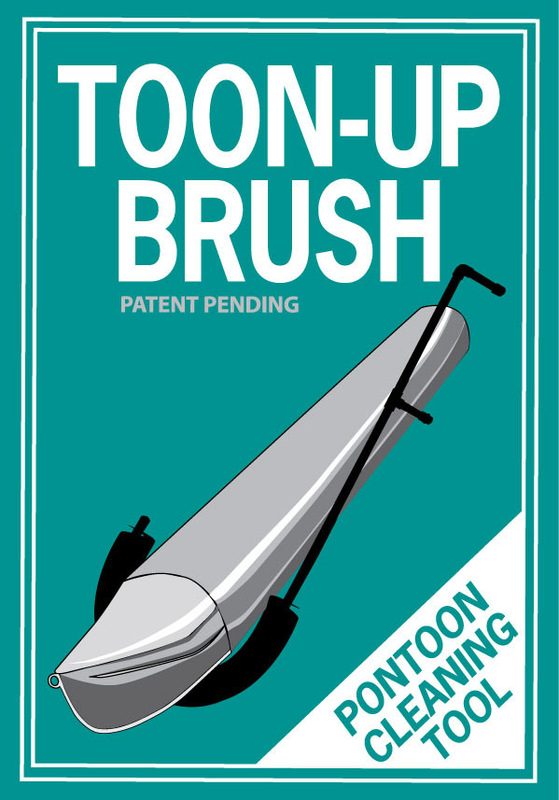 TOON-UP BRUSH is designed for 25" round pontoon tubes. Lifting rails prevent the brush from making proper contact with tubes, a solution may be in the near future. The pontoon cleaning brush was designed for the lakefront or marina slip owner who does not want his time spent doing Pontoon boat maintenance, or the costly detail process. TOON-UP BRUSH is designed to clean the pontoon tubes while submerged in the water at your dock. I own a Harris Super Sunliner 220 on Lake Norman in Cornelius, NC. The 1 3/8 aluminum tube is shaped to fit the pontoon. The 2" poly bristles do the scrubbing. With a little firm lifting of the brush and walking it back and forth along the pontoon with a slight tilt of the handle. I have done trials in speed and fuel with great results, it works. I have sold my brushes online. 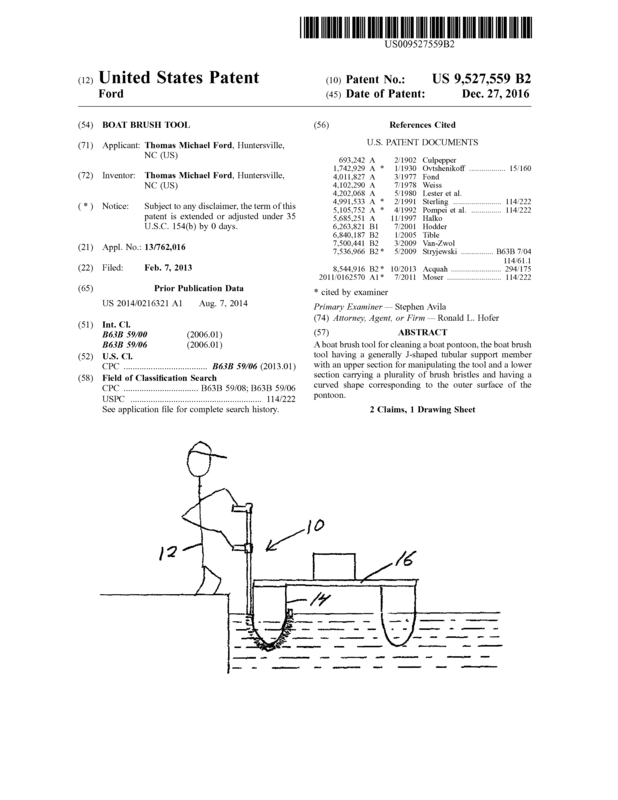 Page created at 2019-04-24 23:59:59, Patent Auction Time.